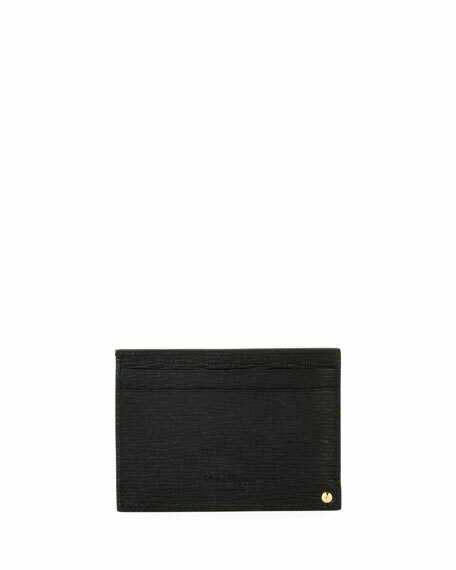 Salvatore Ferragamo card case in textured Revival leather. Golden Gancini detail at corner; embossed logo on reverse. "Revival" is made in Italy. 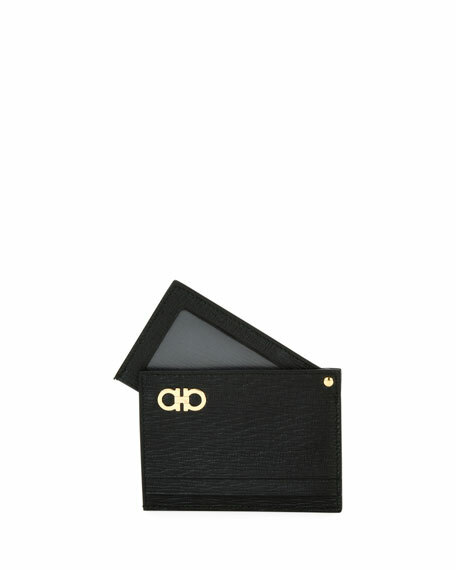 Salvatore Ferragamo card case in Giano studs flat design. Four card slots; center slip pocket. Cow leather. Made in Italy. 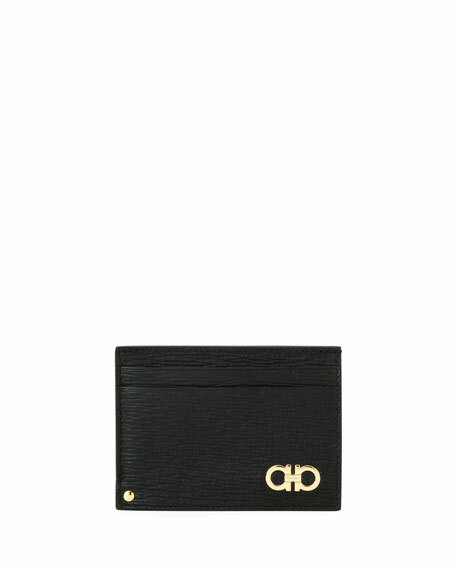 Salvatore Ferragamo bi-fold card case. Lizard-embossed calf leather with metal logo plaque. ID window, two card slots, and two slit pockets. Made in Italy.